We have a newly-designed website and online store! 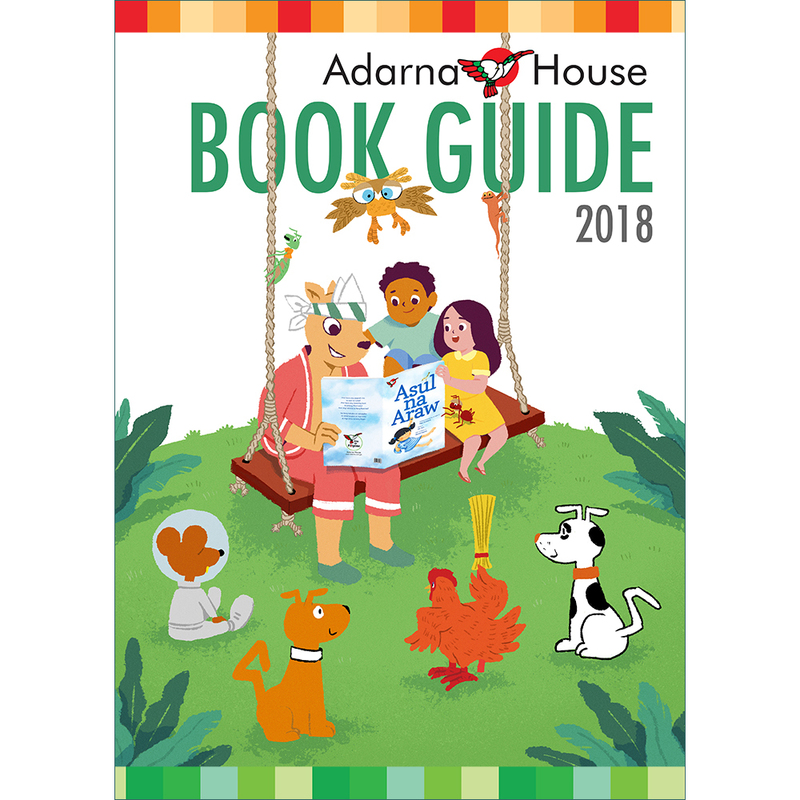 And to serve as a virtual open house to our new virtual home, we invite you to look around and to enjoy 25% off all of our books on Cyber Monday. On December 2, for 24 hours starting at midnight (00:00) Philippine Standard Time, all books from our online store will be available at a discount of twenty-five percent! 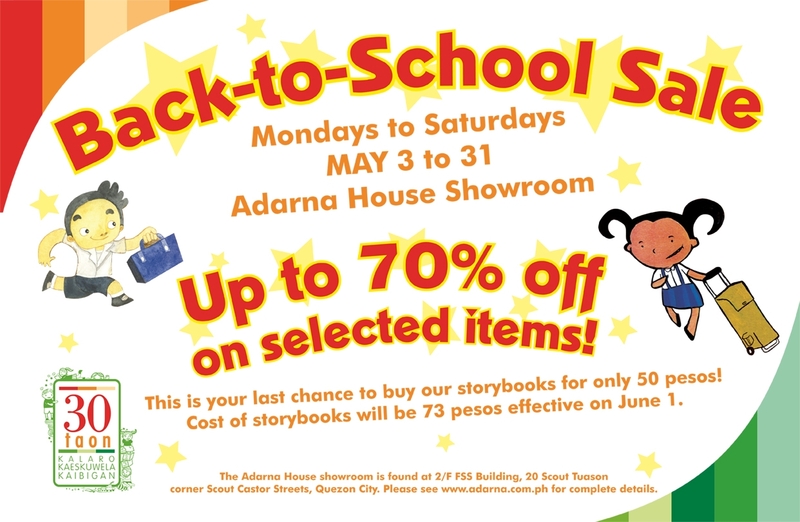 So if, for some reason, you can’t make it to Aginaldong Adarna, the Christmas Sale at the showroom, you don’t have to miss much. Please tell your friends and family, wherever they may be in the world, as this applies to both local and international purchases. Online store purchases can also be made through bank deposits or with credit card payments via Paypal. 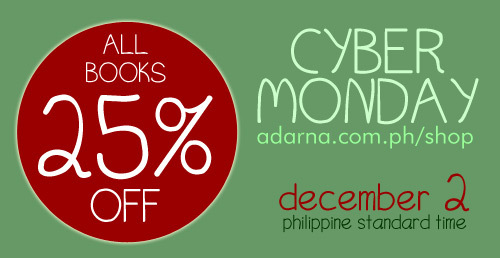 Do your window shopping now at our online store and prepare for Cyber Monday, the Adarna House way!